Explore EFSC's role in this national initiative to fight violence and how you can take part. Ready to explore Eastern Florida? 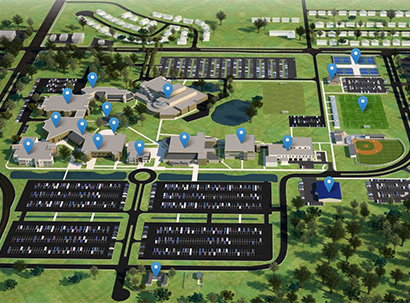 Get a sneak peek of the 120-acre Melbourne Campus with our new virtual video tour and interactive map. Click to get started today! 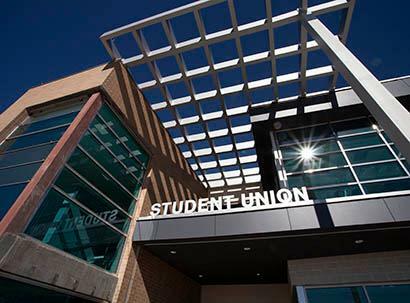 Students can find a quiet study spot, relax or connect with the Student Life Office at the Student Union. Plus stop by the Union's Food Court for breakfast, lunch or an early dinner or snack. The Melbourne Campus Health Sciences Institute provides state-of-the-art classroom and lab space. Healthcare programs are located on all four EFSC campuses, with this new Melbourne facility setting the standard for excellence. 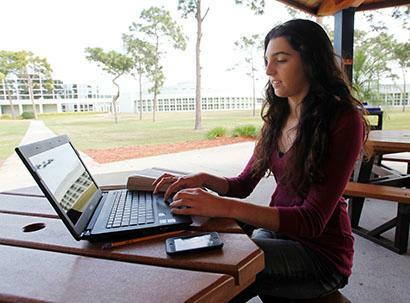 The spacious 120-acre Melbourne Campus provides state-of-the-art classrooms and laboratory facilities where students can pursue bachelor's degrees, two-year A.A. and A.S. degrees and technical and vocational certificates. The renowned King Center for the Performing Arts is on the Melbourne Campus, a wonderful venue for art and music courses. The Campus also houses the Institute of Public Safety which provides career training in Law Enforcement, Corrections, Emergency Medical Services and Fire Science. 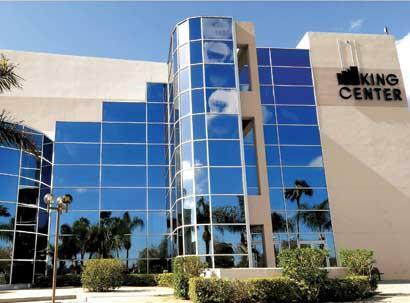 The Melbourne campus is conveniently located on Wickham Road, adjacent to the Maxwell C. King Center for the Performing Arts. 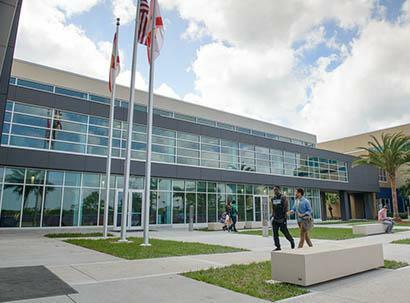 The campus is also home to the Public Safety Institute, the Health Sciences Institute, a University of Central Florida office, the Small Business Development Center, and a Child Development Center. In addition to our highly recognized academic programs led by dedicated faculty, the campus is very committed to student success and campus leadership initiatives by offering opportunities in the Student Government Association (SGA) and numerous club activities. The campus also hosts the collegewide athletic teams of Men's Baseball, Women's and Men's Soccer, Women's Volleyball, Women's and Men's Tennis, Women's Softball and Men's and Women's Basketball. 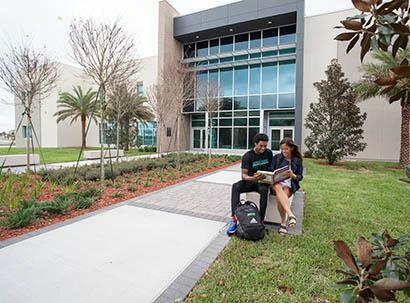 EFSC-Melbourne campus is committed to the college's mission and is here to provide quality teaching and lifelong learning for all of Brevard County. We look forward to meeting you and providing you the opportunity to attain your educational goals. Inspiring non-science majors has become Ron's passion in a teaching career that started as a SCUBA instructor. "In 10 years, when a family member gets sick or they run into a scientific issue at work, they can think back and evoke what I taught them and go through their steps to figure out the issue."